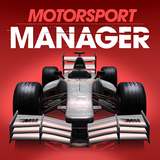 Motorsport Manager Mobile – Games for Android 2018. 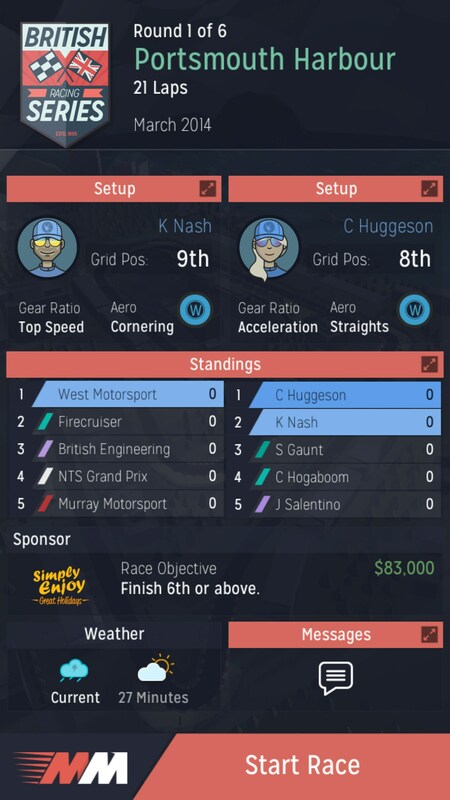 Motorsport Manager Mobile – Statistical racing from the manager's point of view. Motorsport Manager for Android is an innovative NASCAR style racing game like no other. 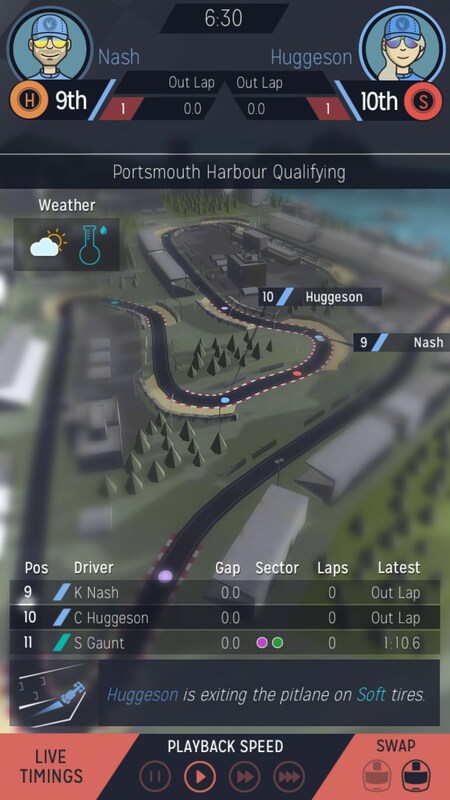 Rather than racing cars, you're playing from the manager's point of view, watching little dots race around a 3D track and making performance decisions to win each race. This one requires strategy and skill. 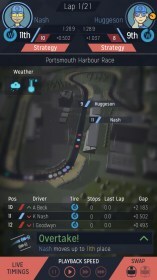 Motorsport Manager displays in portrait to reveal a Formula 1 style race, as seen from the racing manager's point of view. 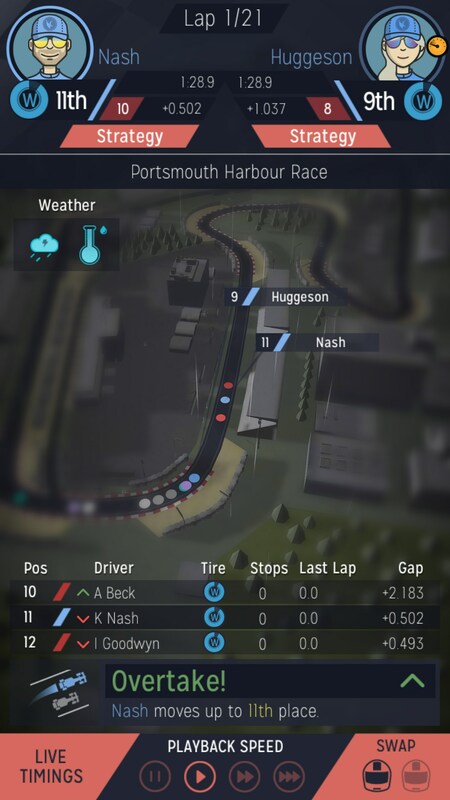 The game actually looks like you're watching a race on television, with detailed graphics displaying statistics, standings and an array of visual stimuli to track and monitor. 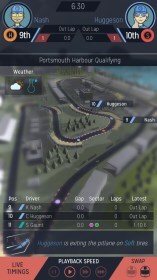 The cars being raced are actually just dots on the track, but the tracks themselves are highly evolved, offering 3D perspectives and views from all angles as the race unfolds. 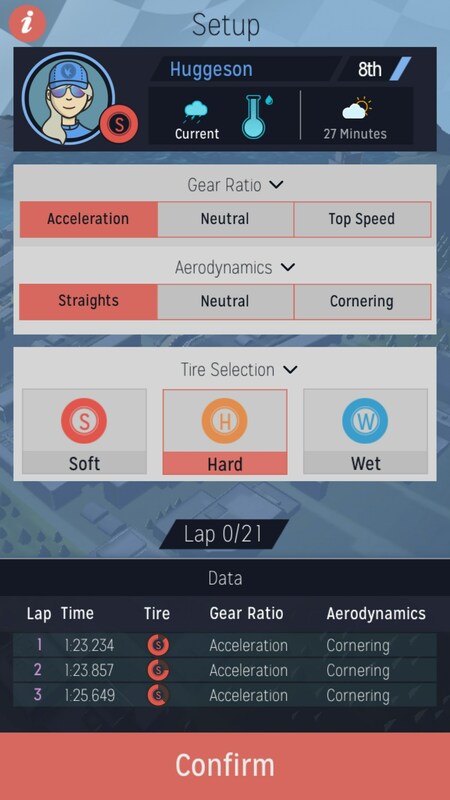 Your objective, is to decide when to take pit stops, what types of tires to use and an array of other technical decisions that impact performance. 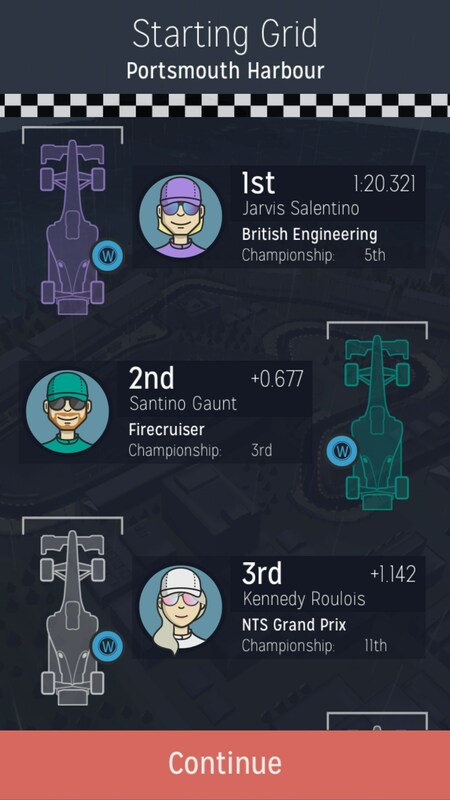 Naturally, you want to win races too. The play is very intriguing and highly original; I haven't seen another racing game quite like this one. The controls use basic screen taps and all was copacetic. 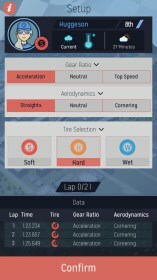 The graphics are excellent, featuring high impact statistical data of the highest caliber, along with a really neat map view of the roadway that follows all the little dots around the track, representing the cars being raced. The animation is simple but elegant, and the sounds go for realism, with aggressive engine wails and mild ambiance effects. 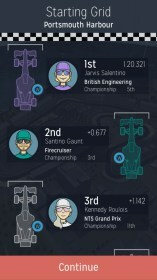 Motorsport Manager is a quality racing game with a truly unique perspective. 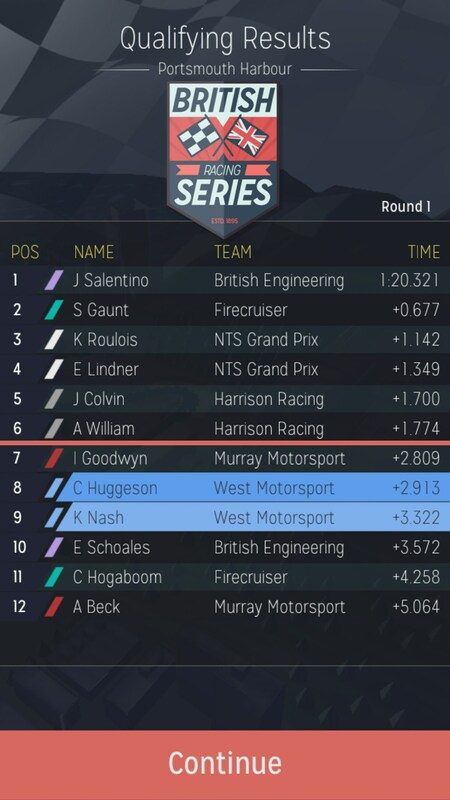 This one feels like a true racing simulation, as seen from the corporate side of things.